Then we look forward to seeing you soon! In the meantime, why not start planning your day to make sure your time with us at Her Majesty’s Theatre is as smooth as possible? We’ve done the hard work, so all you need to do is click the link below to check how and where to find us; have a look over our seating plan; and familiarise yourself with disabled access to the theatre. Get ready to experience the extraordinary. If the walls of this historic theatre could talk, they’d doubtless tell some fascinating stories. Renamed, rebuilt and refurbished numerous times since 1705, Her Majesty’s Theatre is still at the beating heart of London’s live performance scene and continues to embody the sophisticated soul of British musical theatre. 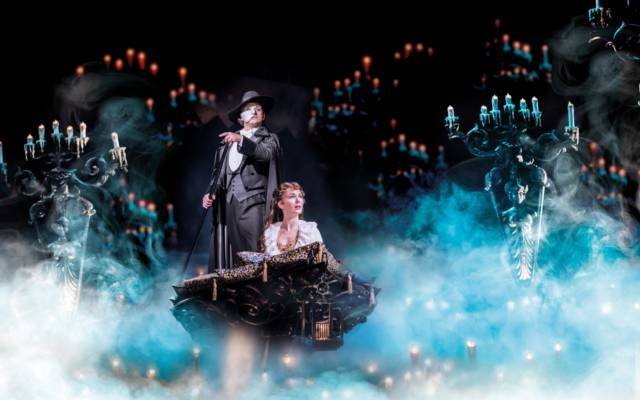 There is a fitting sense of symmetry that, having started life as an opera house, it still hosts the West End’s second-longest running production: the timeless classic that is The Phantom of the Opera. Looking to hire Her Majesty's Theatre? Located on Haymarket around the corner from London’s legendary Pall Mall, Her Majesty’s Theatre holds a historic auditorium that can seat over 1,100 guests, and is itself a rich and exciting part of musical theatre legacy. Marrying magnificent history with modern amenities and technical capabilities, along with a professional staff who are here to serve your needs, Her Majesty’s Theatre is sure to help you deliver a show-stopping performance.